President Trump will be criss-crossing the country over the next week, holding MAGA rallies in advance of the mid-term elections next Tuesday. Here's what you need to know about his Halloween night rally in Estero. LEE COUNTY, Fla. -- President Trump will be criss-crossing the country over the next week, holding MAGA rallies in advance of the mid-term elections next Tuesday. Here's what you need to know about his Halloween night rally in Estero. 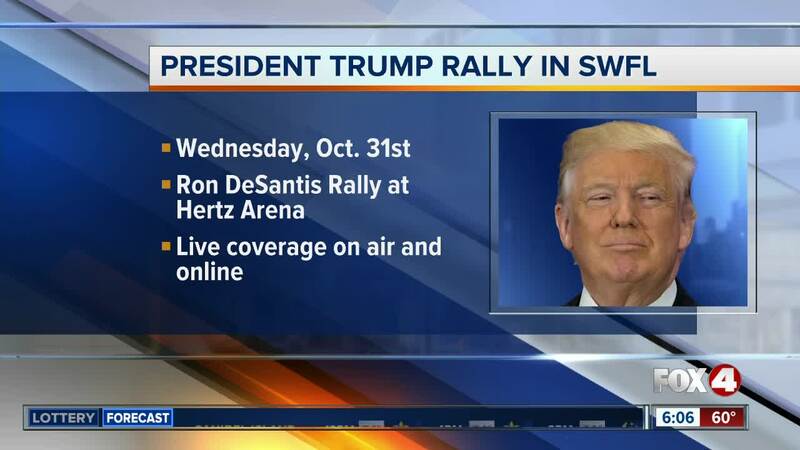 Trump's Southwest Florida appearance is being held at 7 p.m. on October 31st at Hertz Arena in Estero, formerly known as Germain Arena. The Arena is located at 11000 Everblades Parkway, which is just north of Corkscrew Road, between Ben Hill Griffin Parkway and Interstate 75. Doors will open at 4 p.m., but supporters are expected to begin lining up well before that. Tickets for the rally are free, but you must register on the Trump website and get a confirmation text on your cell phone. Those with tickets will be admitted into the arena on a first-come-first-served basis. The President will arrive in Southwest Florida aboard Air Force One, landing at Southwest Florida International Airport. 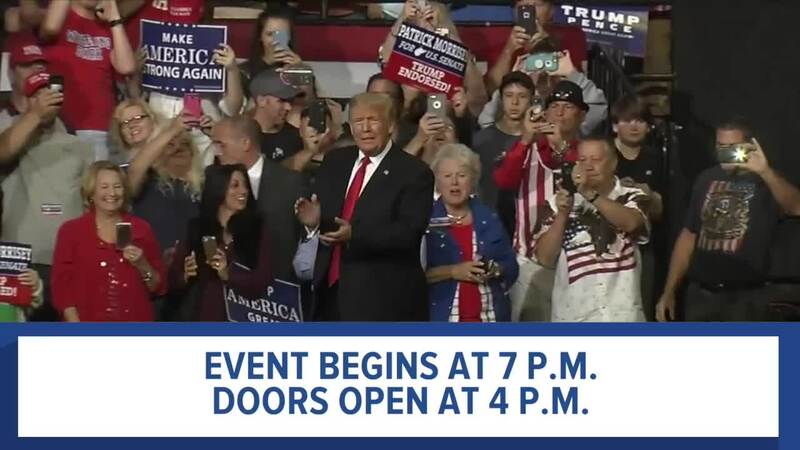 It's unclear at this time whether the President's motorcade will travel to the arena via Ben Hill Griffin Parkway or Interstate 75. Drivers may experience traffic delays along either route Wednesday evening. President Trump has ten more rallies scheduled across the country before Tuesday's election, including another stop in Florida, in Pensacola on Saturday. President Trump has made several appearances in Southwest Florida in recent years. He held two campaign rallies in the area as a candidate in 2016; one at the same arena in September , and then another in Naples in October that year. He returned to Naples in September 2017 to tour the damages from Hurricane Irma.